If you want to indulge in silky smooth Single Malts then triple distilled whiskies are the way to go! 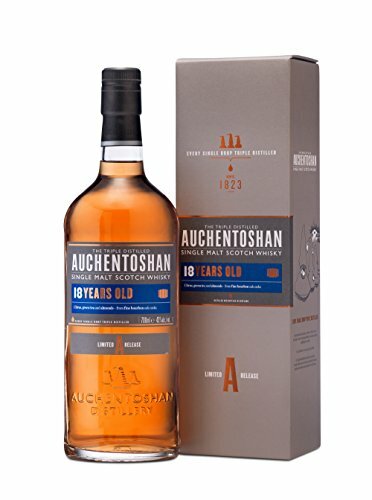 The unique lowland distillery Auchentoshan Single Malts are a true delight! They offer incredible character, flavour and supple smoothness which will appeal to anyone new to whisky including malt maniacs! This new, 12 Year Old bottling exhibits the new, slightly Imperial aesthetics in which Auchentoshan have re-branded themselves with. 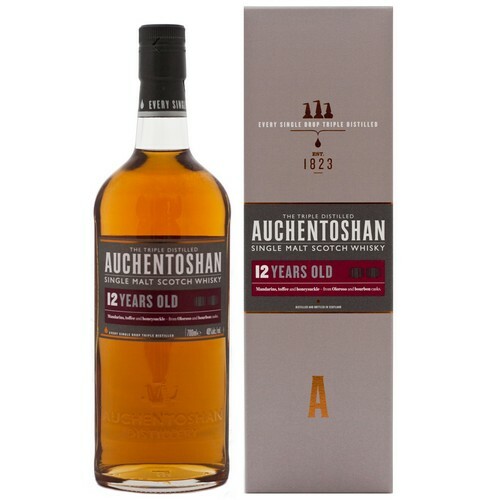 Nose: Cereals and exotic fruits make up the fantastic nose on this 12 year old Auchentoshan. Palate: Smooth and sweet with barley, vanilla and hints of tangerines. Finish: Dry and very long, sweetness from the barley continues as well as ginger and a lingering nutiness. 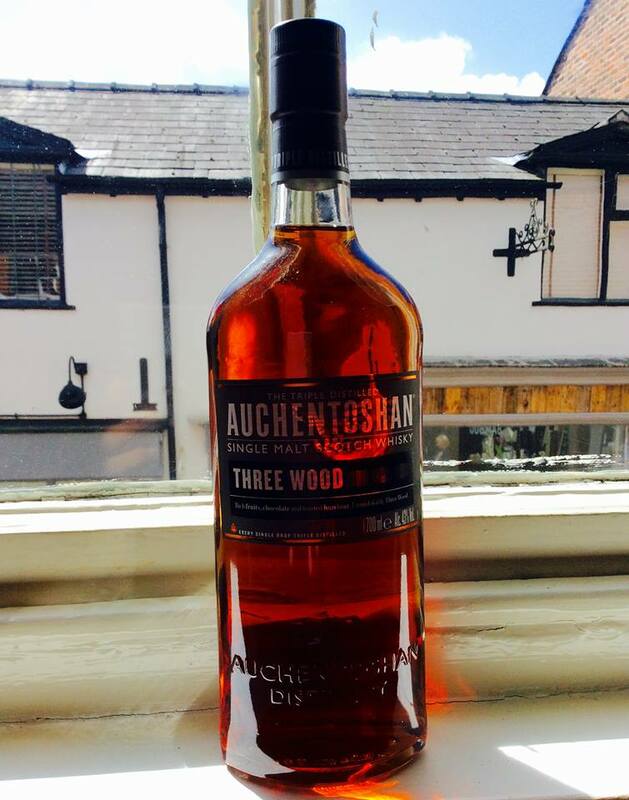 I ntroduced in 2014 to replace the Classic Auchentoshan comes this new Auchentoshan. Triple distilled and matured solely in American bourbon casks, the result? 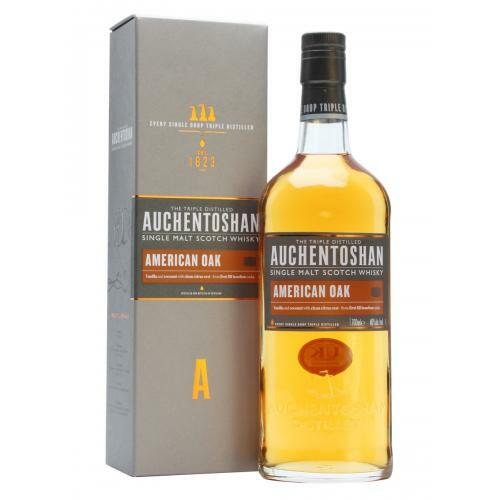 Auchentoshan American Oak, a Lowland Single Malt Whisky with the sweet aromas of vanilla and coconut – along with the signature smooth, delicate, Auchentoshan taste. Nose: Oranges and lemons with delicious toffee chunks and milk chocolate. Wafts of grassy air and clotted cream come and go. Palate: Bounty bars, yet more citrus in the sense of peels with peaches. A little buttery, with golden barley and oak spice developing on the mid palate. casks, bourbon casks and Oloroso Sherry. Finish: Fresh and fruity, with long lasting oaky sweetness. Colour: Deep golden summer barley. 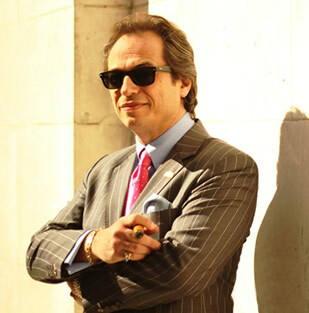 Nose: Fresh tobacco leaf – then sweet with a hint of caramelised sugars, green tea and toasted almonds. Palate: A floral freshness with sweet barley sugar at first – this gently ebbs to reveal a tangerine zestiness. The palate is left alive and refreshed.